The tour departs at 8:30am or 8:45am, depending on the season. The tour of the Cotswolds, Stratford, Oxford and the Warwick Castle takes place on a daily basis. We are comparing Oxford, Stratford, Cotswolds & Warwick Castle Day-Tour Prices from leading ticket suppliers and Try to find you Cheap tickets prices on the market. This full-day excursion out of London introduces several outstanding countryside locations. The university city of Oxford was the place where many illustrious people studied, including Albert Einstein. Oxford boasts recognizable university buildings, the Bodleian Library and the Christ College Church. Cotswolds is the region of immense beauty, offering scenic experiences. Stratford-upon-Avon features Tudor-era buildings and is the birthplace of William Shakespeare. The striking Warwick Castle is the historic place where the rise and fall of many of Britain’s aristocrats and Royals took place. You will explore picturesque landscapes whilst travelling between places of interest in a comfortable coach. In summer, you can attend various shows (falconry, archery...) at the Warwick Castle. The tour of the Cotswolds, the Warwick Castle, Oxford andis the right choice for anyone who is curious to learn more about England’s history and beautiful nature. Your Experience With Oxford, Stratford, Cotswolds & Warwick Castle Day-Tour? During this full-day excursion from London, you will see places of immense beauty and rich cultural history. A visit to Warwick Castle will reveal a great number of schemes that helped some people to ascend to the British Aristocracy while pushing others into the working class. Also, you will perceive the castle's defensive capabilities and costs of maintenance. 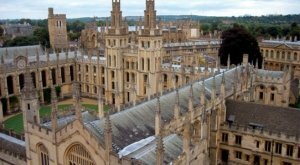 In Oxford, you will join a guided tour of the city centre. In Stratford-Upon-Avon, pay a visit to the house where William Shakespeare was born. While passing through the Cotswolds, soak in the beauty of this picturesque and scenic region. What Oxford, Stratford, Cotswolds & Warwick Castle Day-Tour Includes? Round trip transport by comfortable air-conditioned coach. The tour includes a walking tour of the university city of Oxford and a visit to the birthplace of William Shakespeare. Admission ticket to the historic Warwick Castle. A ride through picturesque Cotswolds region. Entry to the Brasenose College in Oxford. Free Wi-Fi on board the coach. When in the Cotswolds, you will be under the impression that you traveled back in time to the rural agricultural age. Travelers Reviews about Oxford, Stratford, Cotswolds & Warwick Castle Day-Tour? The overall rating for this full-day excursion on Get Your Guide is 4.5 out of 5. Many travellers who booked the tour spoke highly of the guide, driver and the overall experience. A number of comments suggest a lot of this tour is spend getting from one place to another. Despite this the tour is very highly rates. To take part in this interesting activity, you can show either paper or mobile voucher to the authorized person. Both available providers of this tour offer reimbursement if cancellations are made within the specified time period. Make sure to check in around half an hour before this sightseeing tour begins. To take part in this sightseeing tour, children younger than 16 years have to be accompanied by an adult. The tour ends approximately atin London. Meeting Point:Fountain Square, 123-151 Buckingham Palace Road, London SW1W 9SH.